CoastWalk Oregon is an opportunity to walk roughly 30 miles of the Oregon Coast Trail over three days without worrying about wayfinding, river crossings, or return shuttles. Staff and volunteers of North Coast Land Conservancy are experts on the Oregon Coast, and each year they map out a route on a scenic stretch of the Oregon Coast Trail that balances beach walking with headland hiking. 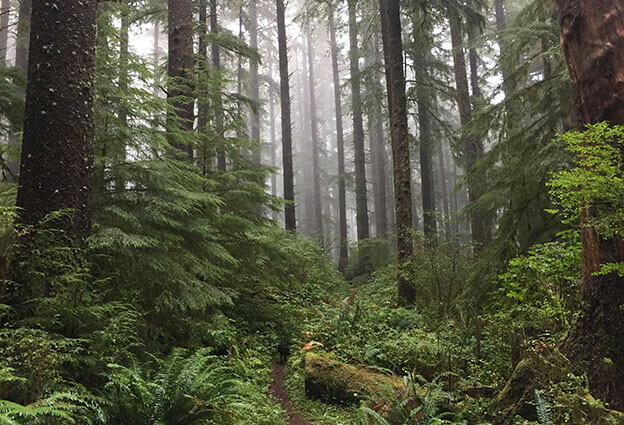 Our goal: provide participants with a fun, safe, and hassle-free way to hike a significant chunk of this world-class, long-distance trail while raising funds to support habitat conservation on the Oregon Coast. Participants arrange their own lodging and dining. We gather and start walking early each morning to accommodate winds and tides, leaving you the afternoon to relax or further explore the Oregon Coast. The Oregon Coast Trail is a border-to-border walking route, from the Columbia River to California, capitalizing on the state’s publicly accessible beaches and its coastal city, county, and state parks and national forests. North Coast Land Conservancy has been conserving and connecting land on the Oregon Coast since 1986. As we approached our 30th anniversary year in 2016, we hatched an idea for how to mark that milestone: what if we spent three days walking 30 miles of the Oregon Coast Trail—10 miles a day—starting at the mouth of the Columbia River, and invited 50 people to make a contribution and join us, then used the proceeds to help us conserve more coastal habitat? We quickly filled those 50 spots, and CoastWalk Oregon was born. In 2017 we continued south, walking from Cannon Beach to Nehalem Bay, with a few more participants. In 2018 the route resumed at Nehalem Bay and went south to Sand Lake estuary with a total of 90 participants. 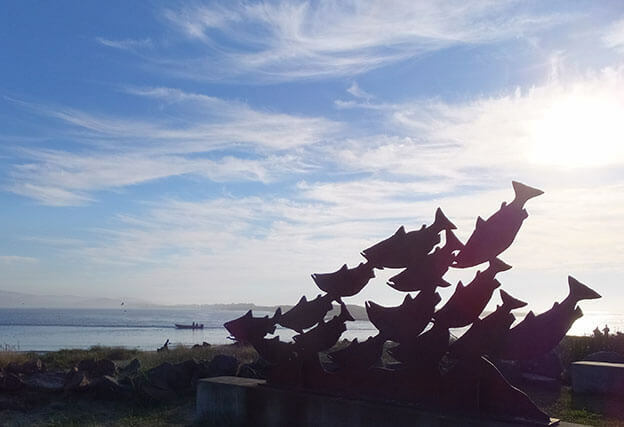 The 2019 route takes us from Sand Lake estuary, north of Pacific City, south to Siletz Bay at Lincoln City—the southern extent of North Coast Land Conservancy’s service area. In 2020 CoastWalk Oregon will return to the northernmost section of the Oregon Coast Trail with a three-day hike from the Columbia River to Cannon Beach. In cooperation with our partners at Oregon State Parks, we ask our participants to follow a LEAVE-NO-TRACE ethic throughout CoastWalk Oregon.